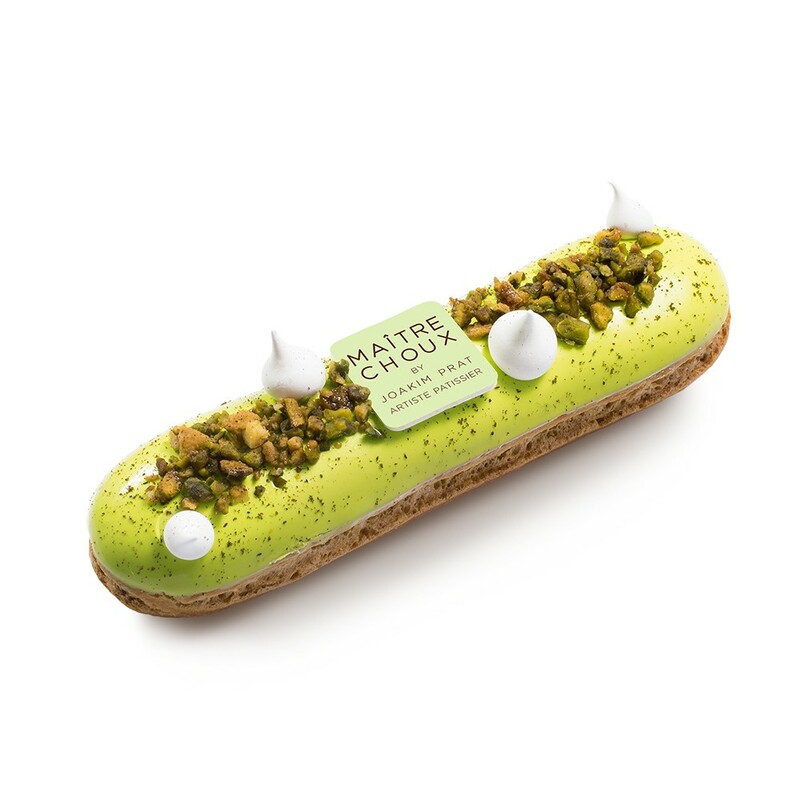 Filled with a Persian pistachio mousseline cream, this éclair has an intense and delightful nutty flavour, complemented by sprinkled ground, candied pistachios for texture. Our dedication to chocolate knows no boundary. 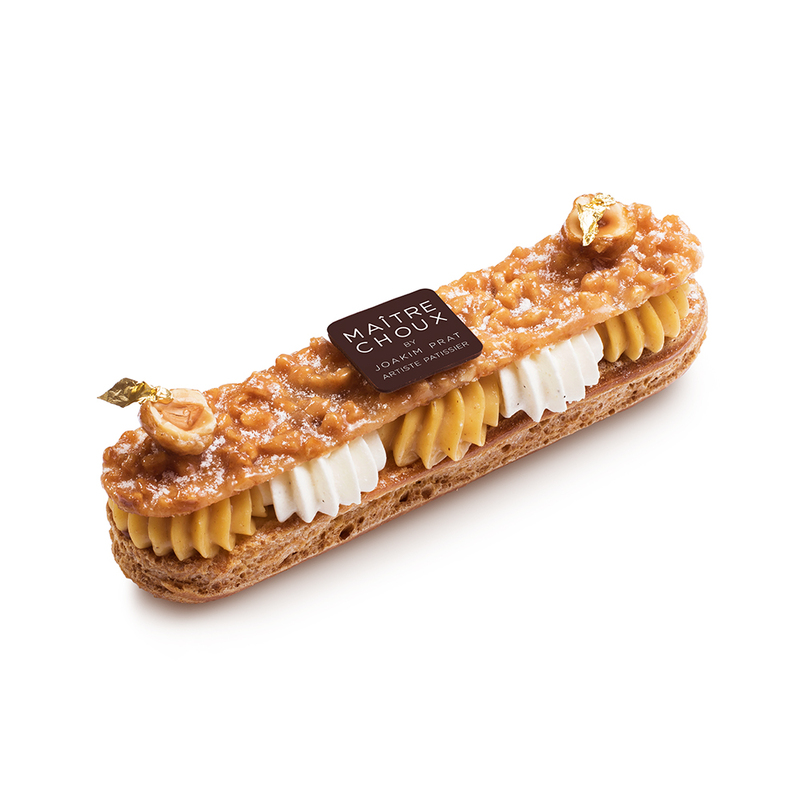 This éclair has it all: a smooth milk chocolate crème patissiere created with a blend of the finest quality chocolates, a homemade praline from fresh hazelnuts, and bits of roasted almonds for added texture. 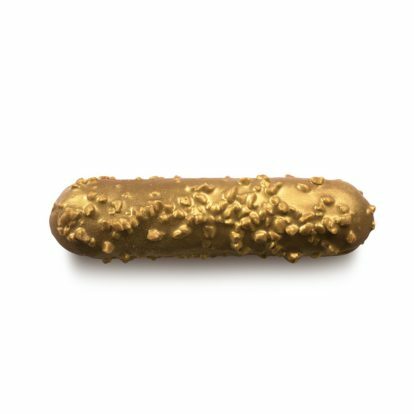 The outside is coated in a layer of milk chocolate and bits of roasted almonds, and is painted in gold dust for the perfect dinner table dessert centrepiece. It is simply irresistible. Our dedication to chocolate knows no boundary. 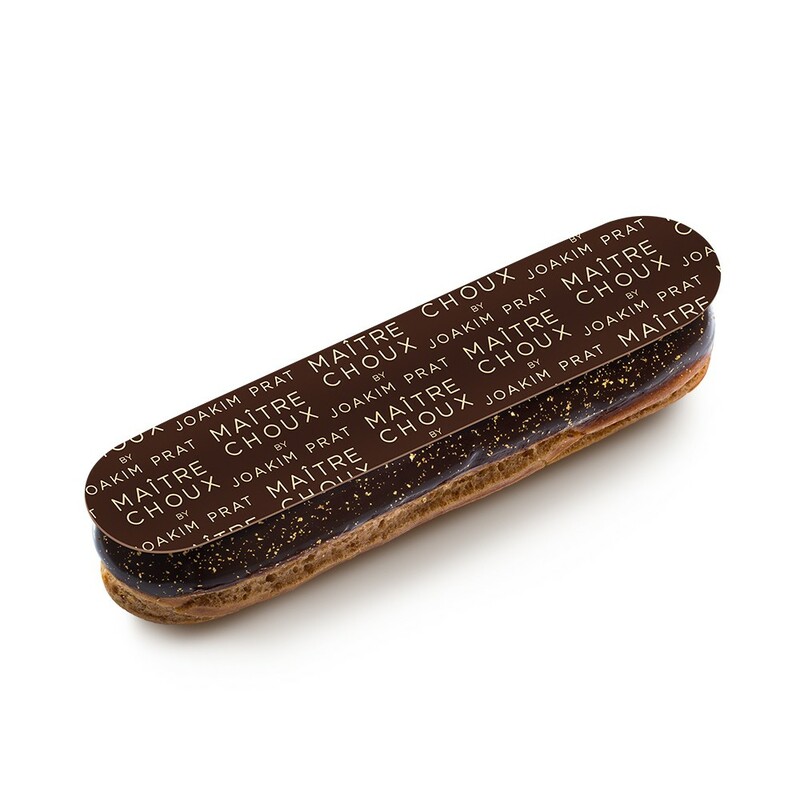 This éclair has it all: a milk chocolate crème patissiere with a blend of the finest chocolates, a homemade praline, and bits of roasted almonds. 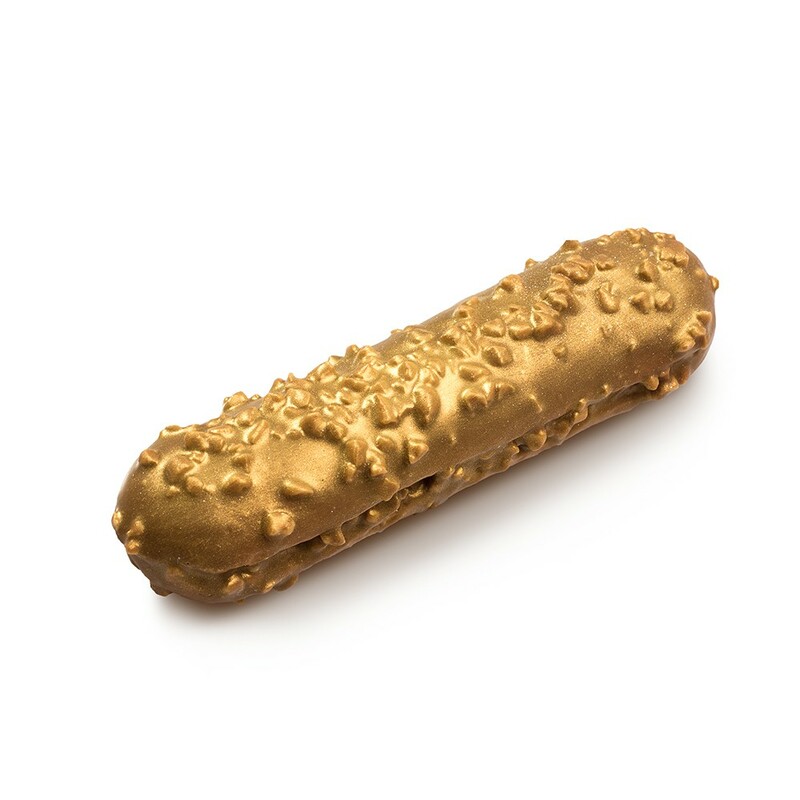 Coated in Gold powder. Our intense and creamy dark chocolate is a blend of some of the finest chocolates available. We selected 60%, 70% and 80% chocolates in order to create the definitive chocolate dessert. 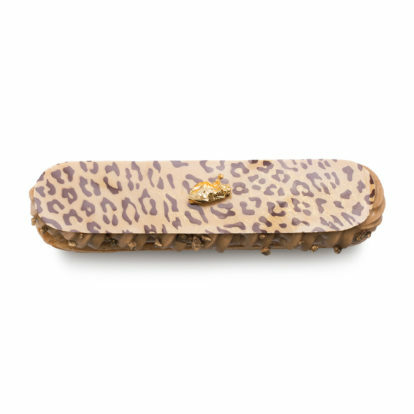 This is one of our Signature creations. Chocolate lovers will be impressed! 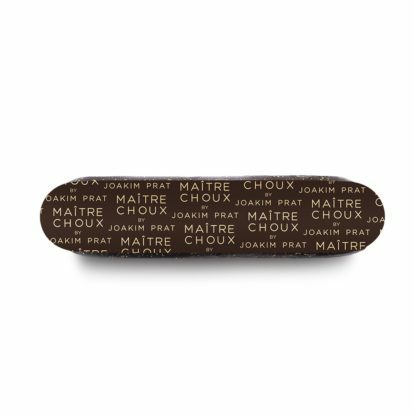 Our intense and creamy dark chocolate is a blend of some of the finest chocolates available. 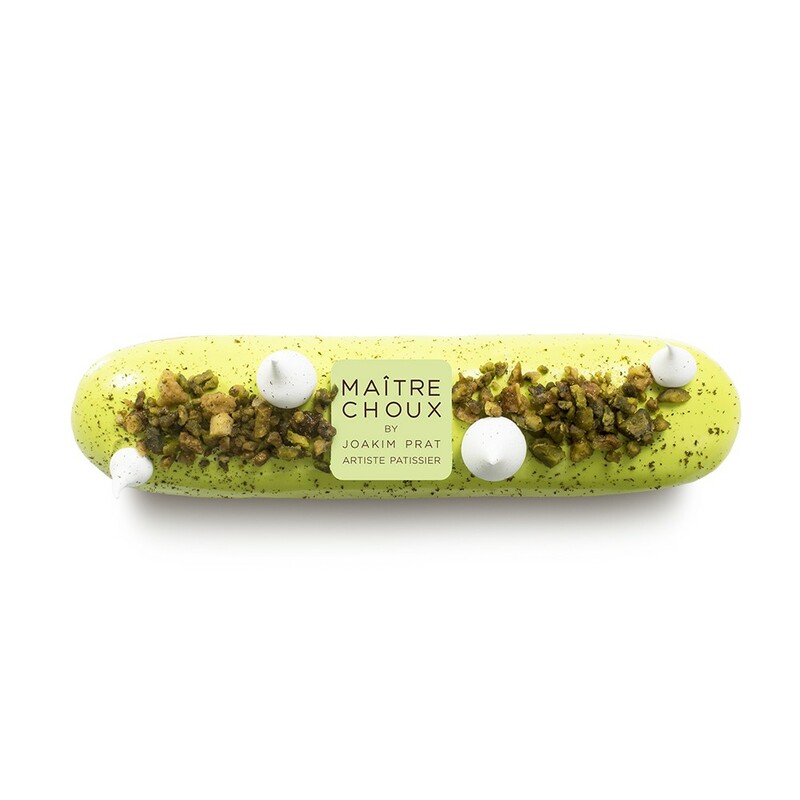 Our update on this traditional French dessert will leave you craving more. 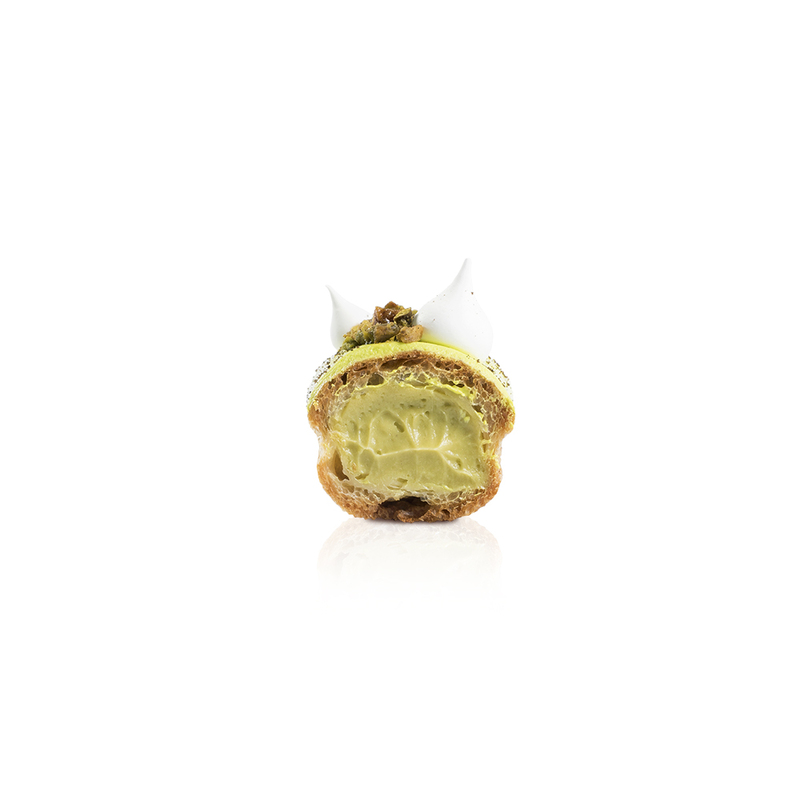 Nougatine, praline, hazelnut, whipped cream: this is the ultimate treat. 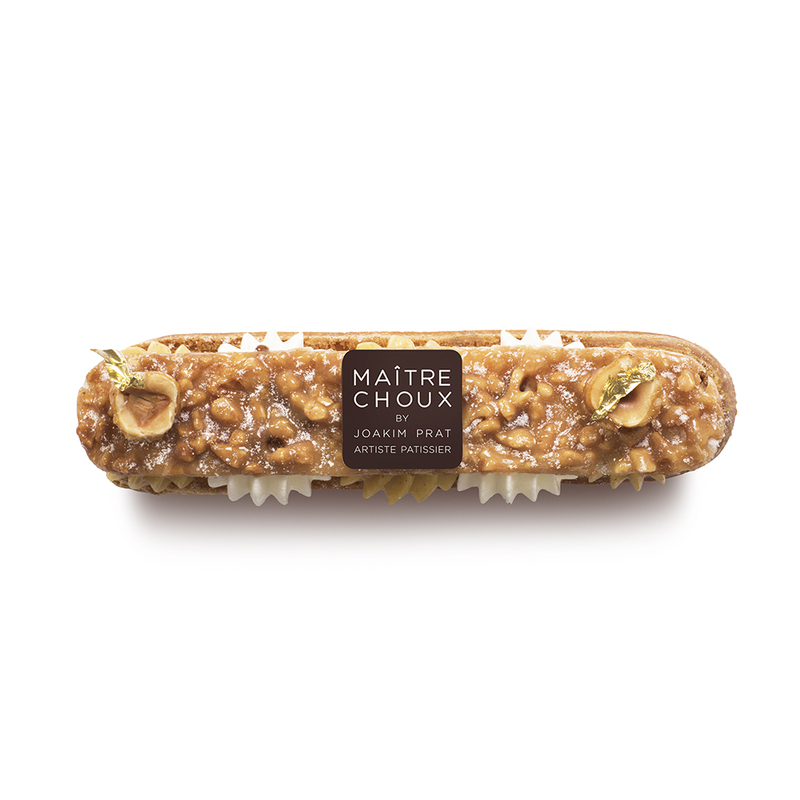 We even top it off with caramelised almonds to give it crunch. Does it get better? No it does not. 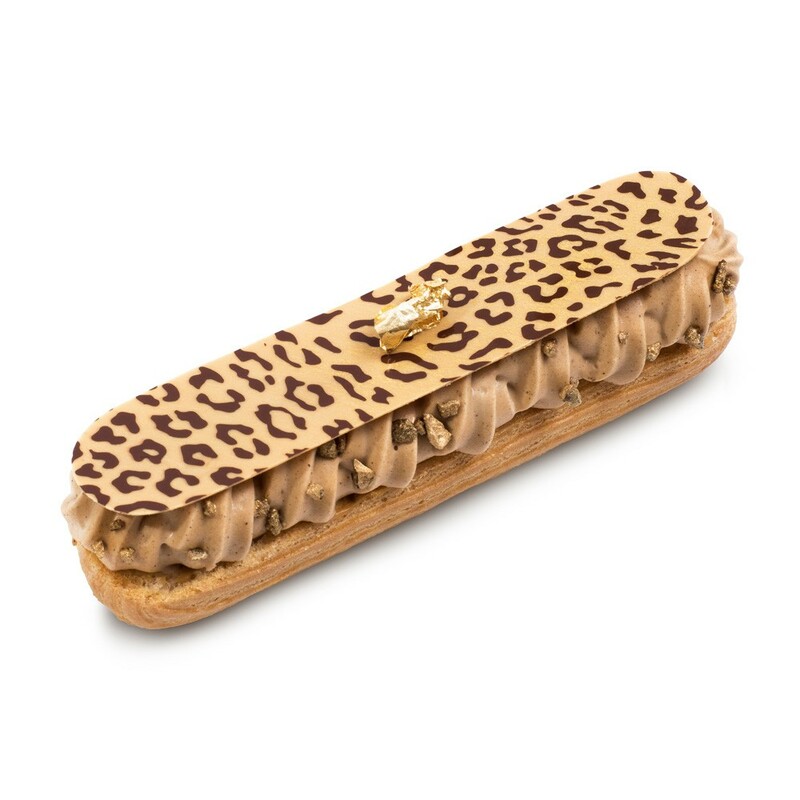 This wild leopard print éclair will delight all coffee lovers! 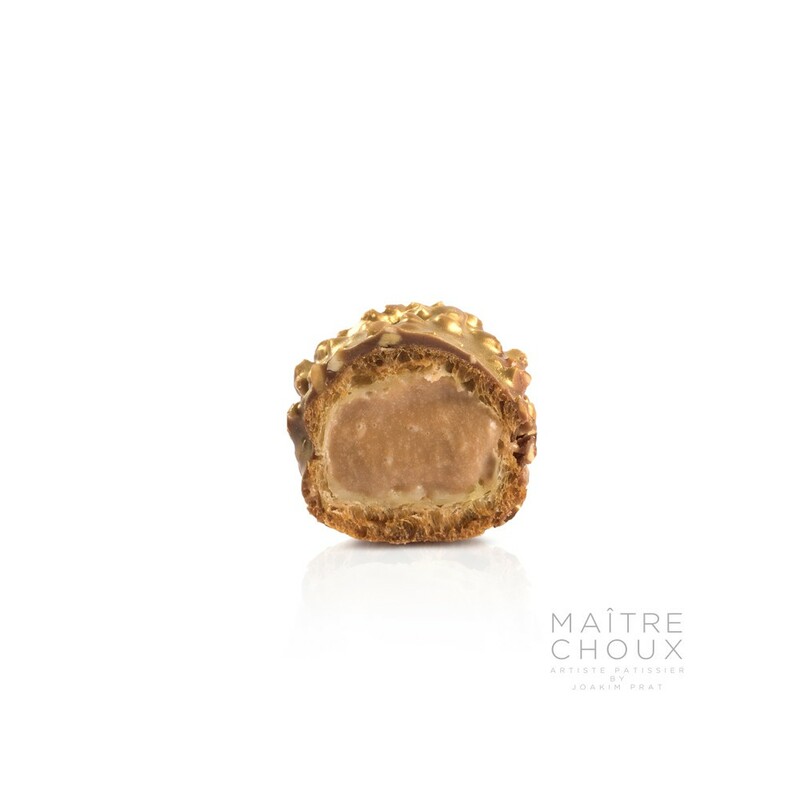 A lightly crunchy cacao biscuit lies at the bottom, covered with a cappuccino cream with inserts of chocolate crunchy beads and a praline sauce to add a nutty finish. This is the king of the éclair jungle!